Heritage of Faith is the church arm of Jerry Savelle Ministries, which has our Head Office in Crowley Texas in the USA. Heritage of Faith has several campuses around Australia with a vision to grow more churches in strategic locations over the coming years. We want to impact the Nation of Australia and beyond for the Glory of God. We currently have campuses in Gold Coast, Stanthorpe & Port Lincoln and recently Papua New Guinea. 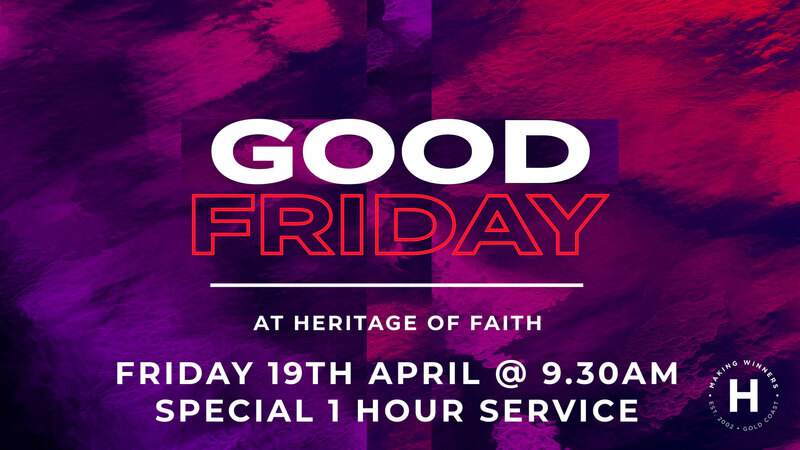 Heritage of Faith is also proud to be associated with our network church, Breakthrough Christian Church in Melbourne Victoria. If you are interested in becoming a Heritage of Faith Christian Church or being associated through us as a Heritage of Faith Network Church, please contact us for further details as we reach the nation of Australia and beyond.